Thank you to everyone who participated in our recent OSHA 10 Construction Safety Course!! Dan McDevitt, Commercial Lines producer here at Gallen, quickly filled registration for this course. We are pleased to offer training as a value added service to local businesses that we work with. 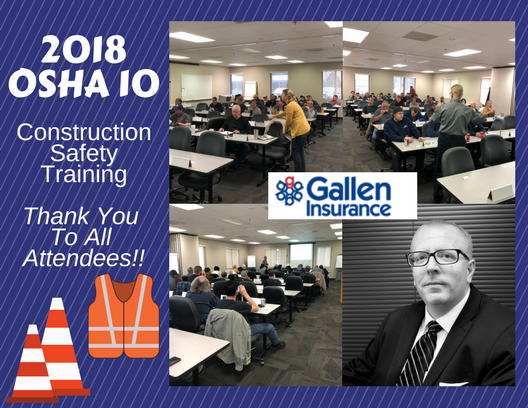 If you missed this session, please stay tuned as we anticipate offering additional OSHA courses as well as First Aid & CPR training later this year. Contact Dan, dmcdevitt@galleninsurance.com to express your interest today! !